The PCTEL Maxrad BMAXSCAN1000 Scanner Antenna is compatible with all Uniden scanner frequencies. The BMAX series of base molded antennas are built around a rugged molded polymer base and plated spring loaded contact pin, with a .100 inch stainless steel whip. 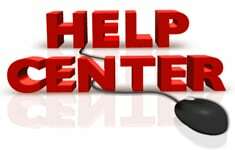 BMAX antennas provide long lasting use with trouble free operation. 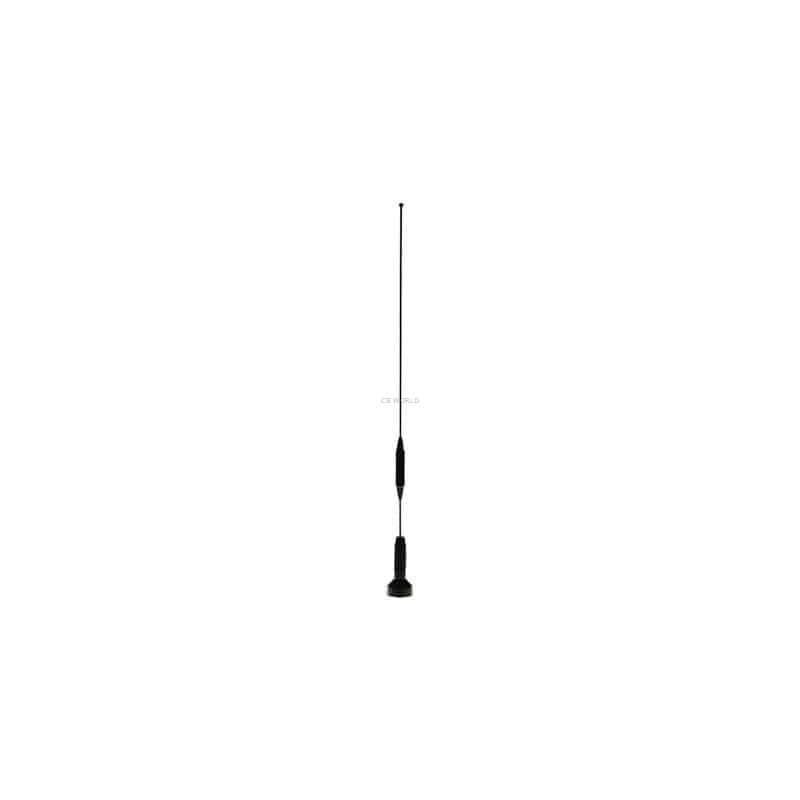 The BMAXSCAN100 antenna is approximately 18-1/2 inches tall and is a ¼ wave VHF and col-linear/closed UHF rod type antenna. The BMAXSCAN100 antenna is ready to install on any 1 -1/8 x 18 threaded NMO style mobile mount for use with your VHF or UHF scanner. The BMAXSCAN1000 is a unity gain all black scanner antenna from the PCTEL antenna products group. PCTEL's performance critical Maxrad antennas are utilized in industries worldwide delivering critical performance every day. All Uniden scanner frequencies. For use with NMO style mounting solutions. RG58U coax is the most often recommended coaxial cable for use with NMO mounts. The BMAXSCAN1000 is factory tuned and field adjustable for fine SWR adjustments. 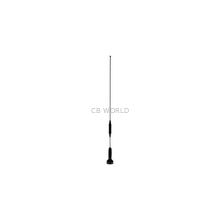 Be sure to review CB World's How to Tune your antenna guide for detailed instructions on proper antenna tuning. Max base, designed with a spring-loaded brass contact pin. Mates with all 1-1/8"-18 thread mounts, including 3/4" mounts. Covers all frequencies for Uniden scanners. Collinear array (UHF and 800/900 MHz frequencies). Rod Ferrule: 5/16"-24 thread; bright or black chrome plate brass. Does not include NMO mount or coax. Check out the MSM17 coax with soldered PL259 and the AR3 to adapt the PL259 to a BNC connection.